I made this card for the monthly card challenge at Catherine and Cathy Create. The challenge was to add texture to your card. 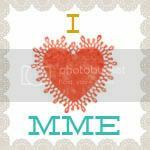 I first did this by using an embossing folder for the background. I loooove using them for texture- so easy and it looks SO awesome! I used a folder by Tim Holtz- I adore anything by Tim Holtz <3 I rubbed distress ink in Vintage Photo (more Tim Holtz) over the embossed area, then I felt it was too dark so I rubbed Kaisercraft Sandstone ink over it again to lighten up some of the ink. 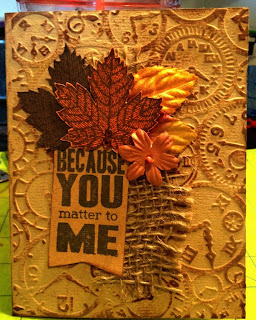 The leaves are a stamp by Stampin'Up- Magnificent Maple- such a beautiful stamp. If I had my time back I would have used a different color ink other than black to stamp with so as to lighten up the leaves a little. Anyways, it looks ok I think. The sentiment stamp is by Hampton Art, the leaves and flower are Prima, the burlap and jewels are from my stash. Wow...gorgeous card. 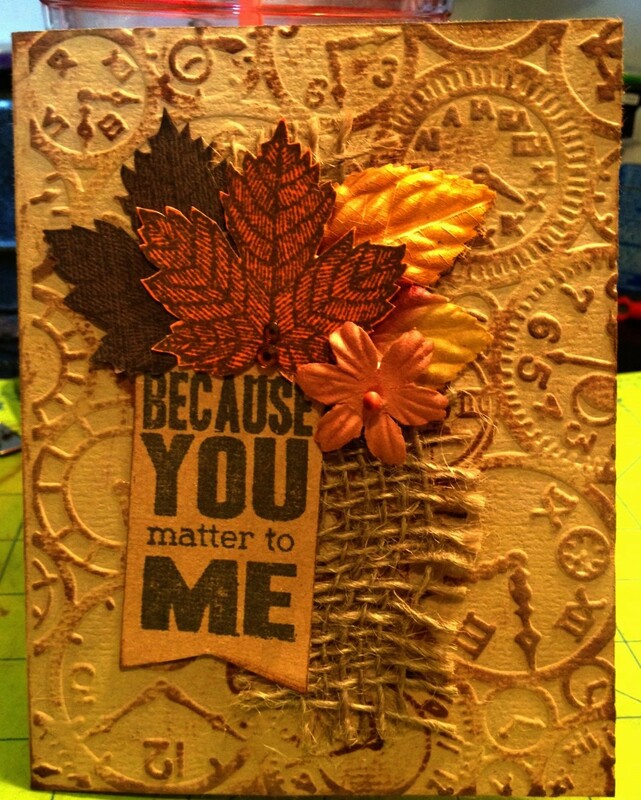 You totally rock using Tim Holtz products. WTG Darlene! Oh wow, love the embossing and burlap!!!! Super nice!!! Great texture card! Such warm fall colours too.